The other day I was catching up on blog reading, and one that popped up in my Reader was written by a pregnant woman who recently had her first trimester scan. Her baby had an elevated nuchal translucency measurement (involving the skin on the back of the neck). It caught my eye because it was similar to the marker Kyle had on ultrasound. Like this woman, I also did not pursue further testing. She ended up getting news that the elevated reading might have been a mistake, and the following measurement was better. She describes very thoughtfully how she went through the “devastating” process, “living the nightmare” of a possibility that her child might have Down syndrome, and came to realization that all children are perfect gifts. I appreciated her honesty and I found her path to acceptance beautiful. The comments, however, had that vibe… that must have been horrible, so glad you have a happy ending, so glad your child will be perfect. On a Down syndrome pregnancy message board I frequent, this is something that comes up a lot. People will write that they are devastated and scared because of a marker on ultrasound or elevated levels on their blood tests. We all respond with encouraging stories about how much we love our kids with Down syndrome and how much joy they bring to our lives. Then a few weeks later when the NIPT comes back negative–no Down syndrome–their report is often something like this: thank God my child is normal! the results came back, my baby is healthy! thanks for helping me with my horrible nightmare, but my baby is just fine! See ya never! Our kids are gifts, our kids our important members of our families, our kids have bright futures, our kids have amazing abilities, our kids change our perspectives, and our kids teach us how to enjoy life. I am talking about Down syndrome, but I am also not. Read the above sentence again. It goes for a baby with or without Down syndrome. And just like that blogger realized, our kids are perfect gifts, no matter what. This post originally appeared on for Elysium. Katie Bee is a mother of four spirited children. Her third child is blessed with Down syndrome, and he shines light on their lives every day. Library Assistant by night and SAHM by day, she writes about life’s blessings and struggles in her blog, for Elysium. 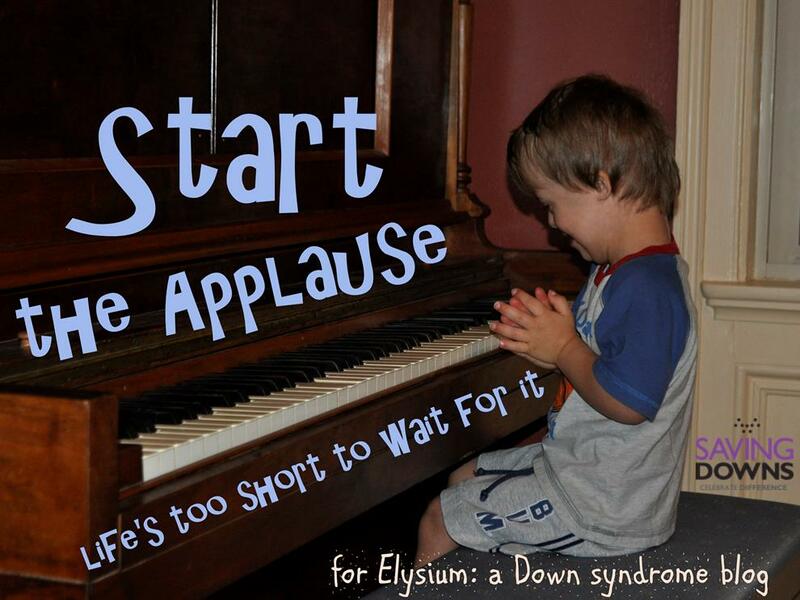 You can also find her on facebook at for Elysium: a Down syndrome blog.